The Best Bluetooth Headphones on the market ranked headphones are such a great thing. The best ones are even greater things. Oh, and the unimaginable joys of owning one of the premium bluetooth headphones. Cramming up to an entire 7.1 sound system into the tiniest imaginable space, just large enough to sit on your ears, whilst shielding yourself from all and any noises of the outside world, how cool is that? However, sunshine and rainbows is not all that has come out of headphone technology. One of the biggest thorns in the back of any headphone buyer has always been Bluetooth. At face value, it seems even more promising than the original concept. 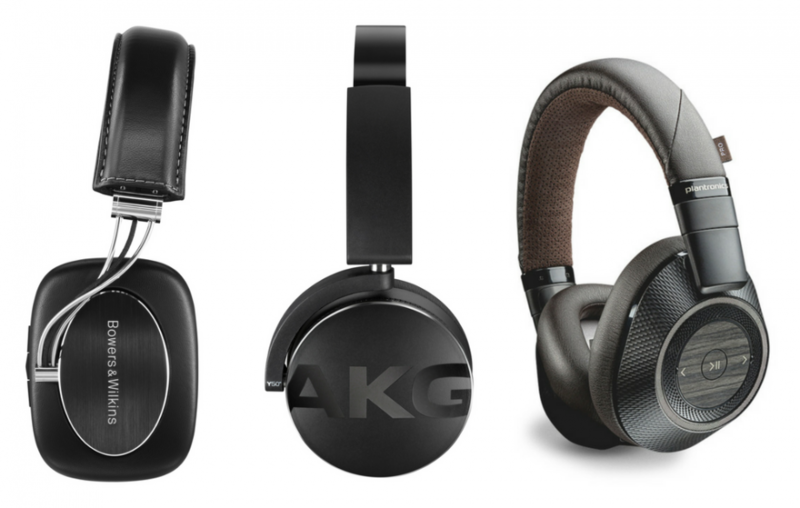 Everything that makes standard headphones so great, but without the hassle of wires. So, what’s the problem? Just go ahead, forget about those archaic plugged devices and get yourself a Bluetooth one, right? Not so fast. Remember five sentences ago, when we said Bluetooth has been a thorn in the back of headphone buyers, any headphone buyer, historically speaking? It’s because the technology needed a lot of time to get on par with the good ol’ wire. Bluetooth, to old-fashioned enthusiasts and audiophiles, still means low-quality sound, poor battery life and horrendous connectivity to this day. But, if you are one of those budget-oriented kinda people, there’s actually quite a lot of stuff out there worth considering. Let’s take a look, shall we? This list is revised every month to keep the audience updated. Last this page was edited on 9 February, 2018. If Sennheiser decides it’s a good idea to produce wireless, Bluetooth-based headphones, then that proves there can be no doubt about the technology’s viability anymore. The HD1s are pretty much their default cable-free offering, and it is easy to notice that you are wielding a Sennheiser when you are wearing one of these. Simply put, they are classy, they are stylish, they scream luxury and they look and feel awesome to wear. Available in Satin Black or Move over, Plebs Ivory, you can’t really go wrong with the HD1s’ looks. 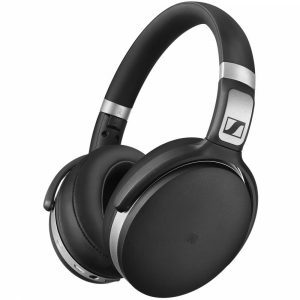 A highly efficient battery life of 22 hours, amazing build quality and amazing active noise cancelling so you can completely ignore your surroundings for a moment and relish the pristine sound the Sennheisers offer you round off the picture. And that sound? Don’t get me started. It’s a Sennheiser product. 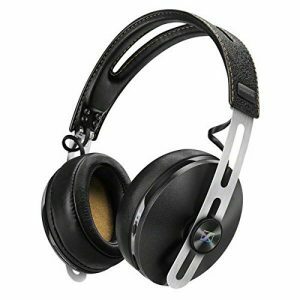 The over-ear design maximizes both comfort and sound quality, but at the expense of size. Whoops, scratch that, the HD1s are actually fully collapsible, so you can easily take them with you wherever you go. Next up, a luxury pair of a different kind. The Bose QuietComfort 35s, from a manufacturer notorious for overpricing, tries to be something interesting that’s unfortunately been attempted without success countless times by now. A product that’s both affordable and that can go toe-to-toe with much more upscale offerings from the competition. Eyeing the specs, it seems like Bose is onto something. 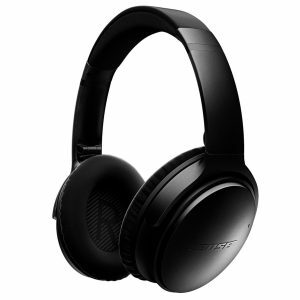 20 hours of battery life, a sturdy, high-quality build, some of the best noise cancelling tech that Bose has got to read: some of the best in the market, period and a clean, space-saving over-ear design with large, powerful drivers make for an interesting proposition, as does the $320 price tag, almost a whole $200 less than the Sennheiser HD1s above. The Bluetooth is implemented equally well, with great signal strength, range and connectivity, even to multiple devices, being easy as pie to set up. Flawless is not what the QuietComfort 35s are, though. The integrated equalizer, supposedly a luxury feature, works as anything but that in practice. Working with it is finicky thanks to poorly-thought out controls, and you’re better off just leaving the default settings alone. The looks, too, are not quite up to snuff with some of the QC35s more commendable attributes. Let’s face it: They look boring. That is okay if you want to remain inconspicuous whilst listening to your favorite tunes, but is such a low-key, plastic-heavy design really the best choice for a $300-plus luxury set of headphones? 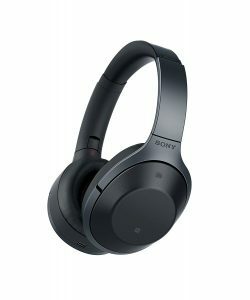 From Sony come the MDR1000Xs, designed to wedge in between luxury headphones, primarily those from Sennheiser, Beyerdynamic and the likes’ and more affordable, general consumer-grade products. The price reflects this: $350 is much to ask, but not too much. A clean exterior doesn’t promise a lot, but the materials used are pretty high-quality and feel great to touch, not to mention to wear. Once you turn the MDRs on, you will be surprised to hear some pretty refined sound coming out of those full-sized drivers, easily matching, partially even besting the competition. That sound can go on for quite a while, too, thanks to some 20 hours of battery life, competitive with most other offerings out there. Noise Cancelling works convincingly and effectively, about on par with Bose’s implementation. There are some extras, too, such as the Quick Attention feature, which lets you deactivate all Noise Cancelling temporarily by cupping your hand over the right earcup. In fact, there are a lot of gimmicks tied to the Noise Cancelling, all of which are user-manageable via the touch controls on the earcups. However, those controls take some getting used to. Even after that, you’ll most likely not fall in love with them, though. Truth be told, they’re not as easy to work with as traditional buttons, even though they clean up the MDRs’ visual appearance. Build quality as well has some ups and downs. Though the MDRs look cool and feel nice to wear, some parts of the headband are prone to cracking. Not optimal on a $350 product. It’s safe to say that Cowin has established itself as the leader in affordable audio and electronics. They have successfully found the best way to bridge quality and affordability, so it’s no wonder their products are hugely successful, even if the Cowin name isn’t as recognizable just yet as that of true giants like Sony, Bose or Bowers & Wilkins. The E7s are their flagship headphones, and it’s easy to see how. A metal-heavy, high-quality build, 30 hours of playtime, the latest and greatest in Bluetooth, NFC pairing and awesome full-size drivers enclosed in an over-ear body that feels great to wear. And all that for under $100! What more could you ask for? Well, how about some better noise cancelling? Upon turning the Active NC on, it’s not just the outside world that gets muffled; your music is compromised, too. Furthermore, although the E7s feel great to wear, even for hours on end, their design is a little large, bulky even, so there are definitely some things worth improving on the next model. Chances are you, as a potential buyer may find yourself in a predicament of sorts concerning which type of headphones to buy. There’s the obviously high-quality options we are talking about the Sennheiser HD1s and the few other headphones like it that will unfortunately set you back by more than what most buyers would be comfortable with. Or, on the other hand, you could go for the opposite: A strictly budget-oriented choice, trading quality for cost. But what if that weren’t the only two possible choices you could make? What if I told you that Sennheiser designed a sister model to their flagship HD1 that was specifically made to be just a tad more affordable to the average buyer? I present to you the Sennheiser 4.50 BTNCs, a new take on what can be considered a budget product. These headphones though they are smaller than most other Sennheiser’s feature full-sized drivers, the latest Bluetooth, NFC pairing, Sennheiser’s phenomenal noise cancelling and over 20 hours of battery life. They are not on the same level as their more expensive brethren by any means, but yet if you want to have a chance to experience Sennheiser quality for under $500, then this is just the product for you. There are a few things to nitpick here, as is always the case. For example, the earcups, although they are made to cover the entirety of the wearer’s ear, have a very tight fit and can become uncomfortable after a while. Though this varies depending on head size, take note that the 4.50 BTNCs may be a little too small for most users. Better consider these to be on-ear headphones, even if Sennheiser would have you believe otherwise. Secondly, the integrated Bluetooth is far from perfect. Though signal strength is more than acceptable, the range just feels way too short. About 20 feet and that’s it. We expect more from a name like Sennheiser. But for $200, remember: This is still the best budget Bluetooth Sennheiser out there. whilst average consumers simply complain, “The sound is okay, but they cost too much!” And yet Beats have gone on to become some of the best-selling headphone brands in the world. The Solo3s are not your average pair of Beats, though. 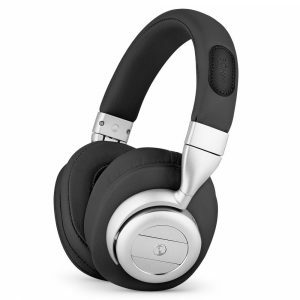 These are compact, wireless, on-ear headphones at a highly competitive $215 price point. Sounds interesting enough, how do they perform? Well, on the Bluetooth front, they easily smash most of the competition. Incredibly easy to pair, and possessing excellent range, the Solo3s have just the right qualities in the connectivity department. Battery life, too, is highly satisfactory, at about 40 hours. Remember, though, that these are not only on-ear headphones with smaller drivers than any other on our list, but also that the Solo3s don’t feature any active noise cancelling, only passive noise isolation via the cushioning, which further helps with lengthening battery life. Sound quality is a completely different story though. 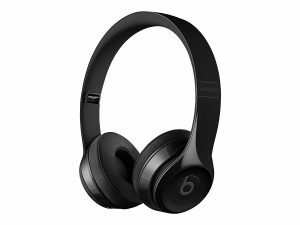 Right off the bat: The Beats Solo3s sound okay. They sound perfectly fine. For a pair slightly more than half their price, perhaps. Simply put, there’s not a lot of refinement, not a lot of volume and almost no real soundstage. The best way to describe it would be calm and balanced, but muddy and reserved. And if you do turn the volume up a little, which can sometimes help with that problem, chances are everyone in your vicinity will be enjoying the music with you, thanks to the lack of noise cancelling. Add to that the rather cheap-looking, plastic-heavy build, and you’ve got a pair of questionable, albeit stylish and moderately affordable Bluetooth headphones. 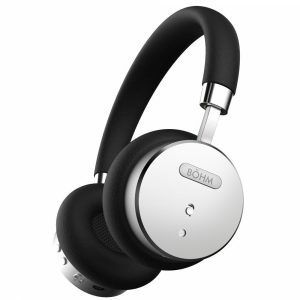 The BÖHM B76 are a luxurious pair of Wireless headphones with ample amounts of creature comforts such as hands-free calling, user-selectible active noise cancelling, extra-thick cushioning around for the earpads and button controls mounted on the cups to adjust volume, select between tracks and more. But can BÖHM really deliver all that for the outrageously low price tag of $110? Almost. At face value, most of the B76’s features work quite well, much better than initially expected, in fact, but when you get down to the nitty gritty details, flaws start cropping up. For example, the battery life of only 16 hours, “8 hours with active noise cancelling on” is rather disappointing, as is the use of cheap plastics for the brushed metal surfaces. The overall construction does feel quite flimsy, especially after having experienced some use. And overall, the sound and noise cancelling can’t quite match up with equally-priced offerings from some of the bigger, more well-known brands like Bose, even if those don’t feature as many upmarket gadgets or luxurious appearances. We already looked at the BÖHM B76, their proud “albeit flawed” flagship model. The B66 is supposed to be a little more down-to-earth. Simpler, cheaper, with fewer components to break. Just a reliable, easy to use pair of headphones. We like the idea, but does it work? Like the B76s, the B66s look promising and are definitely a joy to use in some respects, but then again they have their issues. Let’s start with the good stuff. First of all, they look, feel and sound like a good pair of headphones should. Most of the components besides the headband are proper metal, which makes us question why that isn’t so on the more expensive B76. But both models share the same plastic frame that holds the headband and earcups together, which is unfortunately prone to breaking. The noise cancelling, too, is satisfactory, and sound, in spite of smaller drivers compared to its sister model, seems adequate enough. However, the aforementioned build quality issues, particularly concerning the headband, as well as poor battery life continue to plague this BÖHM model. Still, at just $85, competition is scarce, so you are getting something for your money. The BTH3s from Photive are not really good headphones, objectively speaking. The sound is not that well refined, battery life is barely existent, the construction and choice of materials is incredibly cheap and flimsy all-around and the built-in button controls are a pain to use. However, it does come in at $40. Most people wouldn’t expect to get a fully-working pair of headphones for that low a price, not to mention a particularly refined one. Yet, for $40, the BTH3s are refined. Incredibly so, in fact. Yes, they may look bad when you compare them with almost any other pair from any other manufacturer, but that’s because any other pair will nevitably be much more expensive. And they do work. Bluetooth connectivity works. The sound works. The headband doesn’t come off, at least not immediately. There are no loud rattles. And you even get a 3.5mm input! And a microphone! So, if you’re one of those die-hard budget hunters, these are the headphones for you. The Move, made by no-name company Jabra, looks like almost any other headset. 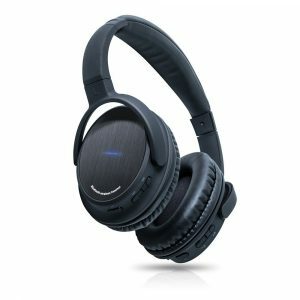 It comes in at $95, making it pretty affordable, and features hands-free calling, a durable steel headband and full-size 40mm drivers mounted on an over-ear chassis. Unlike any other pair on our list, the Moves are actually an open-back design without any noise cancelling whatsoever. Which means they not only let other people hear what you’re listening to, but they also barely shield the wearer from any ambient noise. So using them in a loud environment is not recommended. Performance is quite good for the price. Sound quality is decent, as is the Bluetooth, with good range and connectivity. Battery life, however, is as low as could possibly be at just 8 hours. Comfortable is not how we would describe the Moves, but they aren’t a pain to wear, either. All in all, this is a very average pair of headphones. It is extremely good at being average, though, and the low price does seem enticing. 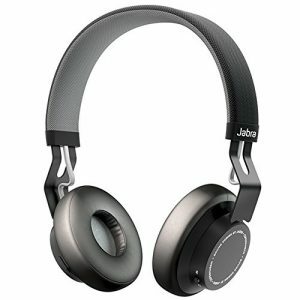 If you can’t afford anything more, the Jabra Moves should be a good choice. There is no way around it. If you want the best Premium headphones there are, you gotta get yourself some Sennheiser HD1s. 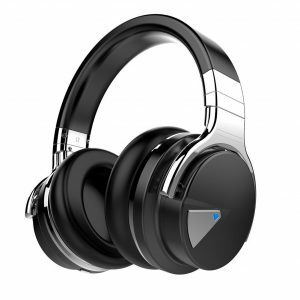 They excel in every imaginable discipline: Sound quality, Wireless connectivity, range, battery life, noise cancelling, durability, looks and comfort. So what if they cost $500? Quality has a price, after all, and the people who really care about their headphones won’t shy away from such expenses. And anyway, what you get out of those $500 has no equal in the portable audio world. In conclusion, the bluetooth headphones on the market can cost you anywhere from $50 to $500. They can be small or large, bulky and cheap or fashionable and luxurious. Also They can produce great sound or focus more on pairing with as many devices as possible. They can provide the best noise cancelling in the world or not. In the end, it’s up to the buyer, first and foremost. That is why we couldn’t limit ourselves to just one best pair of headphones. We hope, though, that one of our top picks will be the right one for you.